Slow Stitching Sunday ~ Scrappy Hexies Again! It has been a while since I pulled this project out. It is a good take along project as I visit with family this week. I should decide how many hexies I want to add yet and get them all cut to take to AZ. I have a few left. But I have accumulated more cool scraps since these were cut! Such decisions! 8 Responses to Slow Stitching Sunday ~ Scrappy Hexies Again! This is a wonderful take along project… love the scrappiness of it! Your quilt is so fun! 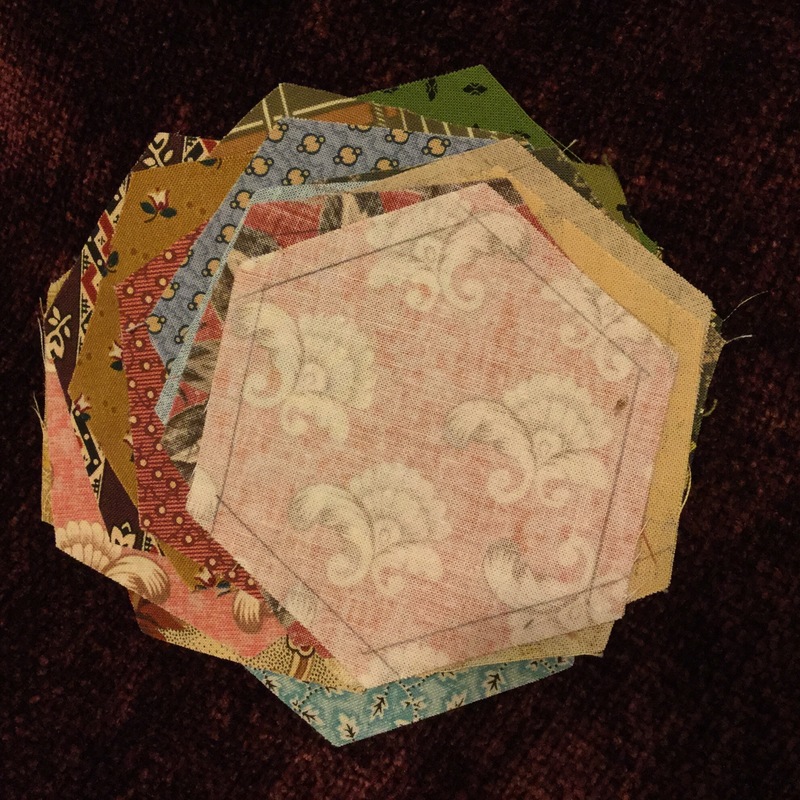 Thanks to your wonderful inspiration, I’ve begun collecting scraps for a quilt like yours! Thank you so much! 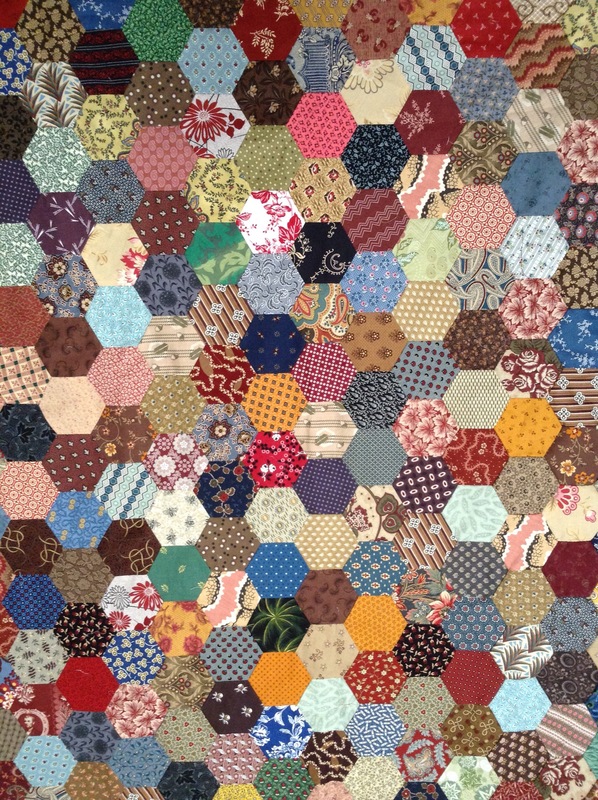 So lovely, I’m a huge hexie fan! A lovely scrappy project to take with you on your trip–Have fun! Wow, that is a really impressive number of hexies! Great project for a road trip. Hexies without paper templates — good for you! Oh I love a scrappy project like this!! It’s looking great!